In 2003, co-founder of Heartland RV and RV enthusiast Scott Tuttle recognized a segment in the camping industry that RV manufacturers were missing out on. Scott Tuttle had done his research and realized that close to half of the campers in the campgrounds at the time, were young adult campers using traditional fold up tents. The reason for the vast amount of young adult campers using tents was simply due to limited smaller tow vehicles with approximately 1000 LBS of towing capacity. 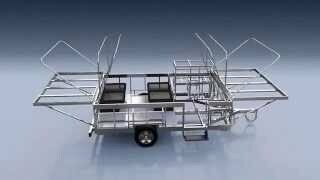 What about pop-up tent trailers? Many makes and models of tent trailers were available, however even the lightest weight tent trailer was still approximately 1500 LBS. Most of the young adults that enjoyed and continued the camping experience, either could not afford to upgrade their tow vehicle and/or did not require such large vehicles that would cost more on their daily fuel economy traveling to and from work. Scott's experience and innovative mind for design made him the perfect candidate to begin leading the RV industry with a REAL ultra-lightweight camper. With the purchase of a very large manufacturing facility located in Wakarusa, Indiana, Scott Tuttle had plenty of space for long-term growth with his new company. 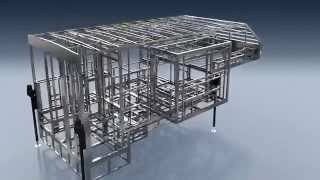 Shortly after purchasing the facility, Scott put together the final floorplan/model designs and hired a team of skilled assemblers, customer service representatives and sales team to ensure product quality and top-notch customer service. In no time at all, Scott and his team were ready... and so it began, Livin Lite RV. Livin Lite RV succeeded and surpassed their goals with their first product line of popular ultra-lightweight tent trailers called Quicksilver. The Quicksilver tent trailers had proven their success across North America and with all ages, including young adult campers. 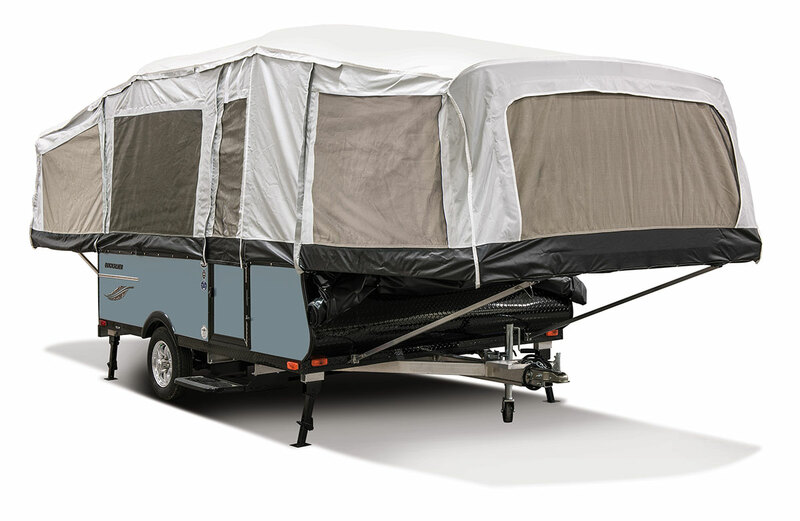 Quicksilver tent trailers are considered "Soft Top" tent trailers where no electric lift and/or pulley cable system exists. This "Soft Top" design accompanied by Livin Lite's unique ALL ALUMINUM and COMPOSITE build allow the Quicksilver trailers to achieve weight ranges as little as 635 LBS up to 1050 LBS. The huge success of the Quicksilver tent trailer product line, very quickly lead to Livin Lite RV's release of their first travel trailer product called Camplite. Camplite travel trailers were highly anticipated in the RV industry and by the new generation of campers. Livin Lite RV decided to expand on their ALL ALUMINUM and COMPOSITE build into a travel trailer product line with the purpose of providing REAL ultra-lightweight, longer lasting travel trailers to the new generation of campers. 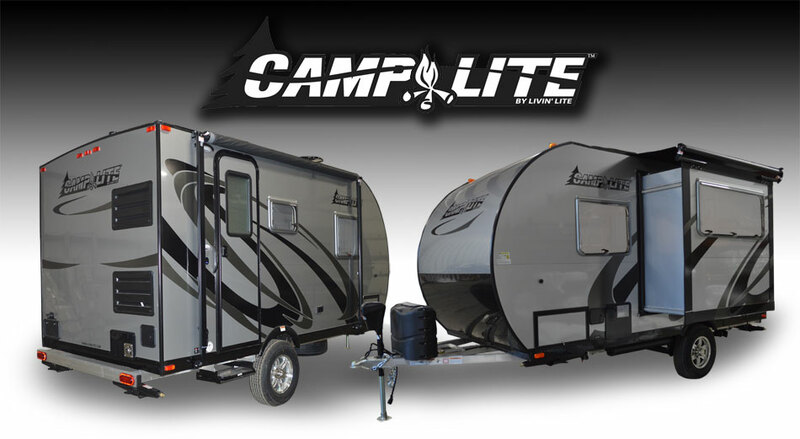 Camplite trailers are extremely lightweight and offer the best selection of floorplans for campers who are towing with small, mid and/or large-sized SUVs. Camplite travel trailers were a HIT! One thing led to another and within a short period, Livin Lite RV released two more product lines that would eventually fill-in missing "gaps" within the RV industry and put Livin Lite RV at the top of the list for RV manufacturers in North America. The third product line from Livin Lite RV that was released was the Camplite Truck Campers. The RV industry was desperate for the next generation of truck campers that were even lighter-weight to accommodate the fastest-growing 1/2 ton towable pickup truck camper market. 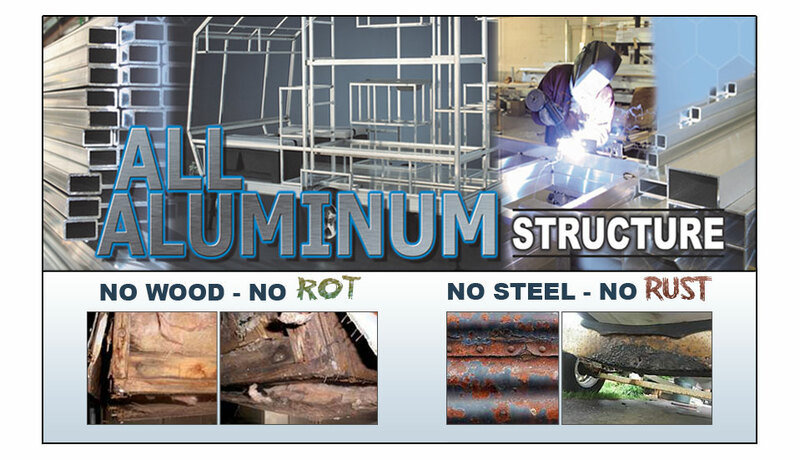 Using the same exclusive ALL ALUMINUM and COMPOSITE design, Livin Lite manufacturing was destined for success! The truck campers by Camplite offer the same standard features found in the travel trailers by Camplite, and also offer the same as any other truck camper in the industry. Lightweight toy haulers have been one of the most over-looked types of RV trailers in the industry. Many manufacturers have a variety of toy haulers, both travel trailers and 5th wheels. The problem with over 80% of the toy haulers available to RVers, is that they're too heavy for the more common 1/2 ton pickup truck. That's where Livin Lite RV shines! 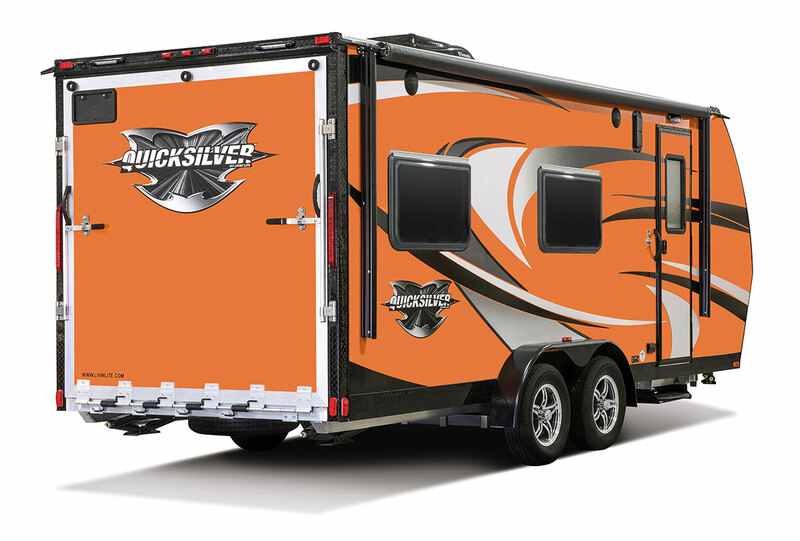 The Quicksilver VRV toy haulers by Livin Lite has been one of their most successful RV trailers. Livin Lite's toy haulers offer campers a wide range of ALL ALUMINUM and COMPOSITE toy hauler trailers from 6' wide by 15' long up to 8.5' wide by 30' long. 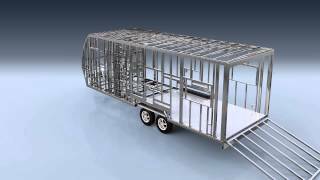 Quicksilver VRV trailers include a huge list of convenient premium standard features that compliment this next generation of toy haulers. All toy haulers by Quicksilver VRV have with plenty of payload/cargo capacity to accommodate all the toys they carry, they DO NOT under weight-rate the axles which in-turn would reduce payload/cargo capacity. Quicksilver VRVs are built right the first time! 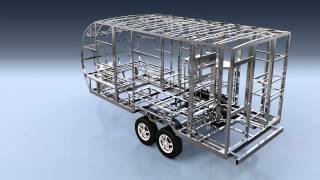 What is Livin Lite RV's unique ALL ALUMINUM and COMPOSITE design? Build it once, Build it right, Build it to last! Why Buy a Livin Lite trailer?